Circostrada is the European network for street arts and Circus, and Fresh Street is its key networking and showcase event. An excellent opportunity to network with other artists, programmers, researchers, journalists and policy makers from across the world, the four successful applicants will attend alongside the Articulture team, representing Wales at this international gathering. 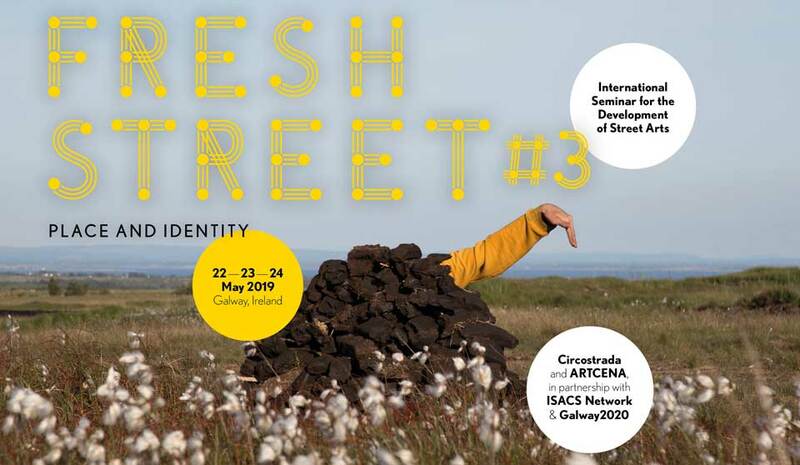 This time Fresh Street will take place in Galway, with preparations for the Galway 2020 European Capital of Culture in full swing! The focus will be ‘People and Identity’, exploring outdoor arts as a tool for social, cultural, political and economic change. Opting for an innovative conference model, it will include a one-day exploration of the beautiful Inis Oírr – Aran Islands.